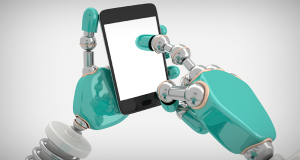 WASHINGTON, D.C – Federal Communications Commission Chairman Tom Wheeler today proposed rulings on petitions before the FCC in order to limit unwanted robocalls, text messages, and telemarketing calls. Industry has been pressing the FCC to loosen its rules and open the floodgates to more annoying robocalls to consumers. The FCC today chose to stand up for consumers by moving forward to tighten rules, close loopholes and hold companies accountable when it comes to unwanted calls and texts. Consumers Union has launched a national campaign against robocalls at Endrobocalls.org. More than 320,000 consumers have signed CU’s petition calling on the top phone carriers to offer their customers free, effective call-blocking tools. One of today’s big victories for consumers was the Chairman’s recommendation that there is no legal basis for phone companies to prevent consumers from using call-blocking technologies. Some phone companies had maintained that they did not have the legal authority to offer call-blocking tools to their customers. Consumers Union said it will take a hard look at the details of the proposals. The FCC appears ready to allow some auto-dialed calls in limited situations such as bank fraud and prescription refills. The organization will seek more information to ensure there are adequate consumer safeguards to prevent abuse.